First lady Melania Trump underwent kidney surgery Monday at Walter Reed National Military Medical Center near Washington, DC, according to a statement from her office. President Donald Trump remained in the White House during Melania Trump's surgery. He tweeted just after 5 p.m. Monday that he was heading to hospital to visit his wife in Marine One. "Heading over to Walter Reed Medical Center to see our great First Lady, Melania. Successful procedure, she is in good spirits. 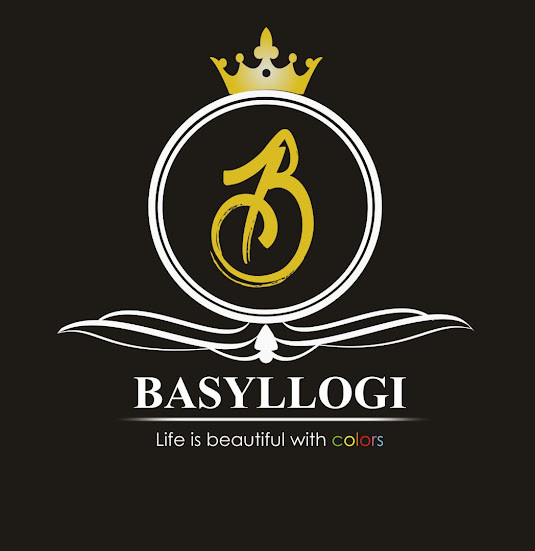 Thank you to all of the well-wishers!" Trump tweeted. Trump, who turned 48 last month, had surgery at Walter Reed in nearby Bethesda, Maryland, on Monday morning. The first lady did not move to Washington until six months into the administration, choosing to let their son, Barron, finish the 2017 school year in New York. More recently, Melania Trump has had a more public profile. On April 24, she and the President hosted the first official state dinner of the Trump administration, an event that was planned and executed primarily by the first lady. Trump was responsible for every aspect of the formal dinner in honor of French President Emmanuel Macron and his wife, Brigitte Macron, from the hand-selected ivory tablecloths to the menu, which the first lady designed to meld American food with French influence. During the welcome ceremony leading up to the dinner, Melania Trump stole headlines, wearing a crisp white Michael Kors Collection suit with a matching white hat, custom-made by her personal couturier. The hat set the internet ablaze, with references and comparisons to Beyoncé, the suffragette movement and even television character Olivia Pope of "Scandal." 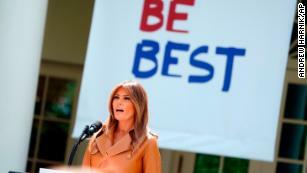 On May 7, Trump, a relatively private first lady by comparison to her most recent predecessors, was once again front and center, this time to unveil her formal platform, Be Best. She kicked off the initiative with a Rose Garden speech lasting 11 minutes, the longest public speaking engagement during her 16-month tenure as first lady. Be Best is a three-pronged platform with a focus on opioid addiction and families, general physical and emotional well-being of children, and kindness and safety for kids using social media. The latter caused a firestorm of controversy because it encompasses cyberbullying, a tactic that Melania Trump's husband, the President, has often been accused of fueling. In March, the first lady addressed the criticism she has faced by taking up the issue during opening remarks to a meeting she convened at the White House for tech industry leaders from Google, Snap, Twitter, Facebook, Amazon and others. "I am well-aware that people are skeptical of me discussing this topic," she said. "I have been criticized for my commitment to tackling this issue, and I know that will continue. But it will not stop me from doing what I know is right." Melania Trump has also appeared with her husband several times in recent weeks. He was seated in the front row during her Be Best speech, after which he made remarks praising her commitment to helping children, and he was again second to speak, after his wife, during the Military Mothers and Spouses Ceremony on Friday in the White House East Room. "She's become a very, very popular first lady. I'm reading that ... They love Melania," the President said. A new CNN poll released May 7 had the first lady's favorable rating up 10 points since January to 57%.